The Avengers assembled, ready to battle the aliens who had dared to invade their gym at Diamond Bar High School. temerity to challenge them in open combat. “We’ve been charging $5 per person to raise money for the Pathways program at the high school,” the brave instructor said. is stepping down from her post in the middle of her term. Her last day on the school board will be June2. marketing and retail sales for 13 years. Perez has served on the board for 19 years. Read more in Steve Scauzillo’s story PEREZ. scholarship luncheon on May 23. Speakers included a teen father as well as the child of teen parents. Santana in Rowland Unified and Workman in Hacienda La Puente Unified. Read more in Rich Irwin’s story TEA. college cuts at Mount San Antonio College. Read more in Steve Scauzillo’s story PROTEST. Let’s get ready to rumble, robot style. Yes, it’s time for the annual robot rally at Cal Poly Pomona on Friday. Hundreds of mechanical men will battle it out through four unique challenges in the largest event of its kind in the nation. do even better with 40 teams from its fifth and sixth grades. Read more in Rich Irwin’s story ROBOTS. in a recent blood drive. But to parents and local PTA members in the audience, it sounded as if the award was being given at the end of her service. Nakaoka, recognizing the confusion, stood up at the meeting and told the group that she was not retiring. gift from the California PTA and it made it sound like I was retiring. The free exhibit is open to the public. Gallery hours are Tuesday, Wednesday, and Thursday 11 a.m. to 2 p.m. Evening hours are Tuesdays from 5 to 7:30 p.m.
IT’S hard, and essentially meaningless, to talk about “the California schools” as a monolith. some educational doctoral degree overview thesis. educational background themselves to demand or pay for the best. One of the reforms we’ve long advocated is freeing California teachers from being forced to spend quite literally all their time teaching toward the standardized test. Read more Our View at EDUCATION. Diamond Bar library officials are offering options to combat bullying and cyber-bullying. 13-year-old tweens and teenagers age 14 to 18 resist bullies. express emotions and teach values which combat bullying. The drum masters return to the library at 3 p.m. Monday. at 3 p.m. Mondays and Thursdays May 14-24.
bullying and teach them how to avoid being victimized. Read more in Imani Tate’s story BULLY. 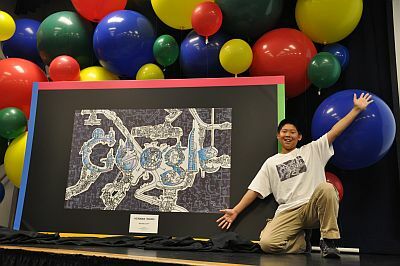 Then it can become very profitable, especially if it’s for the Doodle 4 Google competition. Read more in Rich Irwin’s story DOODLE.